From 2,5 years old to 5 years old : TPS, PS, MS, GS (Pre nursery to Year 1). (Very Small Section – Pre Nursery) to GS (Grande Section – Year 1). 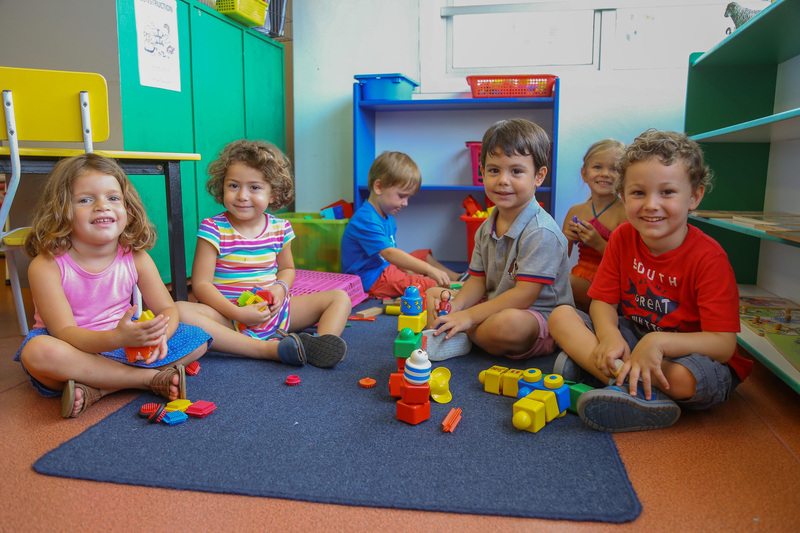 The LFKL offers an early French and English learning program to kindergarten students allowing them to adapt themselves to their multicultural environment. 8 a.m. to 2.30 p.m.
ON WEDNESDAYS classes end at 12.00 p.m. The Kindergarten’s ultimate aim is to help each child become independent, according to adapted procedures, and to enable them to acquire the knowledge and skills necessary to succeed in mastering the basic learning skills in CP (Year 2). The primary objective of the kindergarten is for the children to acquire rich, well-structured oral language, which can be clearly understood by others. In the kindergarten, the child establishes relationships with other children and with adults. They exercise their motor, sensory, emotional, and intellectual skills, they gradually become students. They discover the universe of the written word. The Kindergarten curriculum, without hourly curricular requirements, presents major domains of activity to be covered over the three years preceding the start of compulsory schooling; it fixes the objectives to be attained and the skills to acquire before the passage into primary school. In implementing the curriculum, the developmental stages and rhythm of the child must be taken into account. The kindergarten plays an essential role in identifying and preventing problems or difficulties, a role that it must fully assume, especially in regards to specific language difficulties.